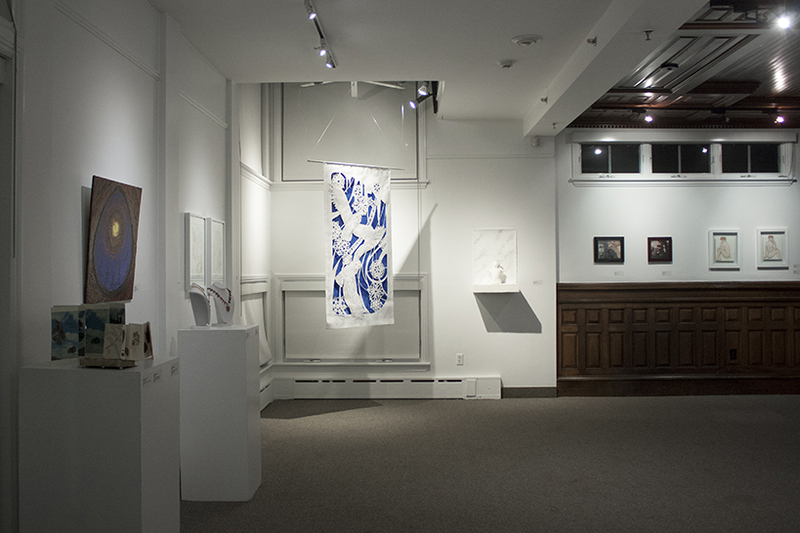 The Wedeman Gallery at the Yamawaki Art and Cultural Center is designed to support the educational and extracurricular programs of Lasell College and Lasell Village through artistic and cultural activities designed for all members and friends of the broadest College community. In recent years, the Gallery has exhibited work by local and national artists, and hosted student and faculty art shows. The Wedeman Gallery was dedicated in honor of Overseer Harriet “Honey” Markham Wedeman ’48 and the late Duane “Joe” Wedeman in 2002 in recognition of their magnificent generosity to Lasell’s sesquicentennial campaign and their unwavering loyalty to Lasell. The gallery features two full floors to display personal or group art work, professional lighting, wall hangings, and enough space for guests to enjoy the artwork and exhibition opening receptions. Please view the Artist Agreement with terms, guidelines and conditions of exhibiting work at the Wedeman Gallery. Gallery open hours are Tuesday – Saturday, 1 – 4pm. Wedeman Gallery is located at 47 Myrtle Avenue, Newton, MA 02466. For more information or to submit work for exhibition consideration, please contact the gallery director, Vladimir Zimakov.